Wrestling historians—be it the professional or the armchair sort—would probably agree that during his time and his prime, Tom Billington did not fit the bill for what most would consider a "professional wrestler." In a business replete with towering titans and hulking heroes, Billington was, on the surface, pretty average: a few inches short of six feet and on the low end of the 200-pound mark. In many ways, Billington had to compensate: for the lack of colossal presence, he had to make do with muscle definition. In the absence of raw power, he had to put extra force and impact in every move. What he didn't have in the aura of invincibility, he made up with intensity. 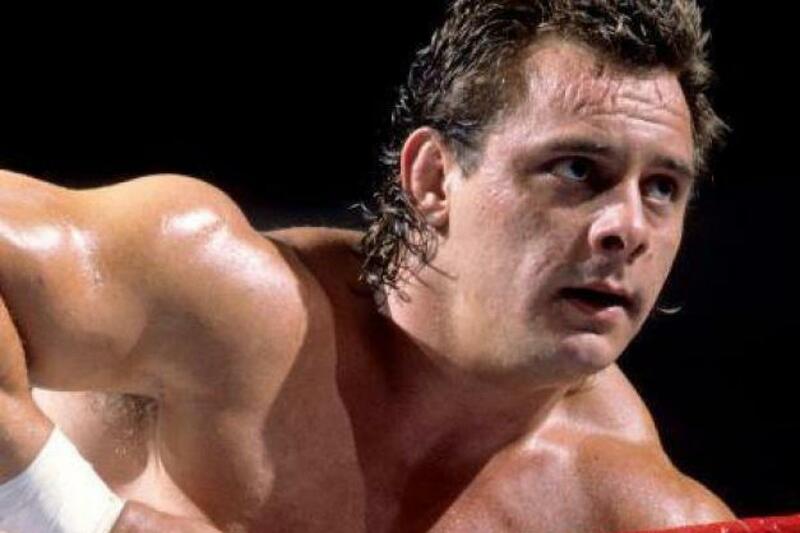 All these put together created the legend—and the cautionary tale—that is The Dynamite Kid. At this point in a Smark Henry obituary, we'd run down the victories and accomplishments of the departed. We would talk about the legacy of The Dynamite Kid in terms of the 26 titles he won, or how he was the other half of The British Bulldogs with the late WWE legend Davey Boy Smith. We would wax poetically about the crispness of his in-ring technique. We would share insights and opinion about how The Dynamite Kid influenced the styles of dozens—if not hundreds—of professional wrestlers who came after him. And perhaps, after so many biographical notes about his life, the former bareknuckle fighter from Lancashire, a man who wasn't a towering titan or a hulking hero, became one of the most awe-inspiring ring generals of an entire generation. Because when we really come to think about it, unless we've really gone through all the tapes and footage of The Dynamite Kid in Stampede Wrestling or NJPW, Billington's legacy is less radiant: it's one that reveals a darker side of professional wrestling. Many of us would remember a different sort of Dynamite Kid: that of an old man in a wheelchair, his lower body paralyzed after a long career, punctuated by high-impact moves that left him with lasting injuries and concussions. Quite a few documentaries have left the lasting impression of Billington as a broken-down man who needed to be taken care of round-the-clock, as a consequence of his drug addictions and hard-hitting in-ring style. Wrestler memoirs have not been too kind with Billington, either: a feud between Dynamite Kid and Bret Hart has been well-documented over the years. Jacques Rougeau was none too kind with memories of Billington, too. One of Mick Foley's early in-ring injuries was caused by the stiff Hook Clothesline delivered by Dynamite Kid. For a career as documented as that of the Dynamite Kid, the pedestal seems perpetually out of reach: for everything good said about him, there are two or three things that diminish that storied legacy. To inject a sense of legendary quality to the history of Dynamite Kid would be to somehow invoke the hormone and steroid injections that are inextricable from his personal history. To refer to the intensity of his work would be to go through the intensity of his personal relationships—rarely in a positive light. To watch Dynamite Kid in his heyday is well-nigh impossible to watch without knowing of facets of Tom Billington in his later years. Perhaps the thing that hits the hardest is how the legacy and professional lineage of Dynamite Kid gave rise to the darker stories of pro wrestling beyond the ring. Not that Dynamite started it, but that he was the most public face of it. The swan dive of Randy "The Ram" Robinson in The Wrestler evokes so much of Dynamite's legendary swan dive headbutt. And to that point, that concussion-inducing maneuver is often argued to be one of the causes of the tragedy that is the Chris Benoit double murder-suicide. And objectively, those things—ones that resonate to the public more than his titles—dim, if not eclipse, the view of Dynamite Kid over the years. It begs pondering: what really is the legacy of The Dynamite Kid? As a wrestling fan, writing these obituaries often encourage me to rethink what wrestlers leave behind when they pass on. It's often a legacy of titles, a roster of great opponents, a flurry of amazing moves, but Dynamite Kid's passing is different. Somehow there's a bit that wants the less-flattering parts of Dynamite's legacy to be erased and expunged, if only for a new generation of wrestlers to not emulate the excesses and mistakes that Dynamite did. But there's also that bit that wants to somehow put Dynamite in that light where he no longer has to compensate: to simply be one of the greatest wrestlers of all time. And when you get to watch that one match over and over, it gets a little bit easier as a fan to reconcile the legacy of the Dynamite Kid. And that's the thing: Dynamite Kid will never be the nicest person ever. He will never be the best example of what it is to be a person to emulate, presented with all the evidence of his indiscretions: from backstage fights to horse steroids to drug abuse. Dynamite Kid isn't a shining example of great professional wrestling at a time when greater awareness of risk stacks the cards against him. But with all that said—and matches like Dynamite vs. Tiger Mask are frozen in time—few will ever be as good. And even fewer will be as legendary. That there will only be one Dynamite Kid. Images sourced from Wrestling-Online and Metro.